Families are riddled with untold secrets. 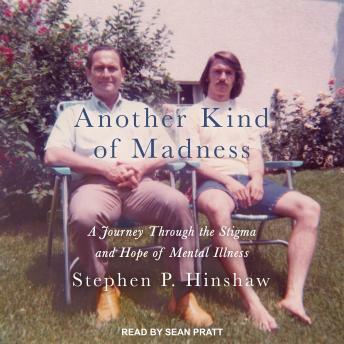 But Stephen Hinshaw never imagined that a profound secret was kept under lock and key for eighteen years within his family-that his father's mysterious absences, for months at a time, resulted from serious mental illness and involuntary hospitalizations. From the moment his father revealed the truth, during Hinshaw's first spring break from college, he knew his life would change forever. Hinshaw calls this revelation his 'psychological birth.' After years of experiencing the ups and downs of his father's illness without knowing it existed, Hinshaw began to piece together the silent, often terrifying history of his father's life-in great contrast to his father's presence and love during periods of wellness. This exploration led to larger discoveries about the family saga, to Hinshaw's correctly diagnosing his father with bipolar disorder, and to his full-fledged career as a clinical and developmental psychologist and professor.